There’s an old saying,“Show me your friends and I’ll show you your future.” It holds true. Still. Who are your friends? What does society make of the company that you keep? Do they tarnish your reputation? Do they elevate it? Are they encouraging you to become better? Do they inspire? Do they support you? Are they there to pick you up when you fall? If you hang out with burnouts, you may not become one, but their negativity will definitely wear on you- knowingly, or unknowingly. Do you have a friend who does stupid things publicly, as they drop their mixtape of what-the-f*** for the world to see? What you may not realize is, they’re also cross-contaminating your reputation in the process. Do you want that? How will you build a name for yourself if they’re busy creating a papier-mâché of chaos, with you in close proximity? Will people say, “look at that idiot,” or will they say, “look at those idiots.”? I’d bet the house that they’ll elect to call out the latter. How the public perceives us is important. Actually— it’s everything! You only get one reputation. This is the single most valuable commodity. It can’t be traded. You might be able to buy it or build it, but fixing it is like trying to put toothpaste back in the tube. What can you do with your reputation? Safeguard it! Scrub the internet for old blogs and social media posts and accounts which could compromise you, and delete what you can. The beautiful thing about writing is that you can, in theory, carefully craft your thoughts, posting them when (and only when) you know they’re well-thought out. If they leave you second guessing whether they’re appropriate for your boss or you clients to read, then perhaps you should refrain from sending. What you say (or post) in the real world or online is much like getting a tattoo: if you’re going to get something on your neck, then you will enter a world where the public will have preconceptions about you, based on your appearance. You can get a neck tattoo if you’re not worried as much about public perception. And you can say what you want if you’re representing yourself, and not someone else’s brand. Companies will terminate employees for how they represent themselves, if they don’t align with the image the company wants to portray. What does this all have to do with your friends? Well- you can choose your friends. Choose wisely. They’ll influence you. They’ll define public perception of you. Be inspired. Spend time with people who can broaden your horizons, and encourage you to push your personal boundaries. What are they? What will they become? What will you become if you continue to spend time in their circle? 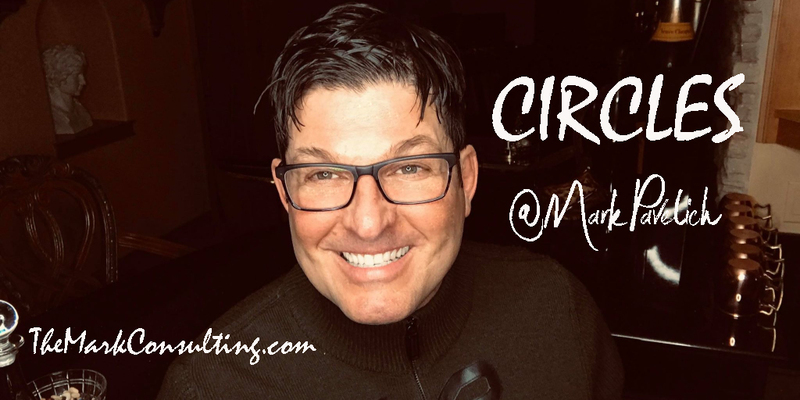 Connect with Mark below: IT’S A GAME CHANGER!